After much delay, the Federal Court has back up the Fair Work Commission’s decision and it is time for the union movement to accept the umpire’s decision and stop its campaign of misinformation. 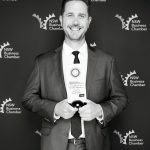 The state’s peak business organisation, the NSW Business Chamber, says that it is time for all side of politics to accept the decision and allow employers to get on with creating jobs. 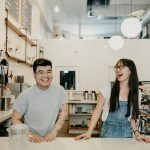 Sunday penalty rates have not been abolished, the decision only affects around 220,000 people in retail, pharmacy, hospitality and fast food across the entirety of Australia, and we are talking about limited changes – for example, from double-time to time-and-three quarters for Sunday work. “The Full Bench of the Fair Work Commission also reaffirmed that benefits of a eduction were not limited to the employment effects and that a reduction in penalty rates is likely to lead to increased trading hours, a reduction in hours worked by business owners, an increase in the level and range of services offered and an increase in overall hours worked” said Joe Townsend. Now that the Federal Court has made its decision, employers should be able to get on with implementing these changes, and start offering longer opening hours and more shifts on Sundays.